The first twelve Articles of Faith describe what we believe, but the thirteenth begins, "We believe in being." More than just a list of beliefs, the last article of faith challenges us to put the first twelve principles into practice and become what we believe. 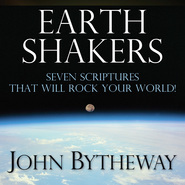 Using his characteristic humor, multiple scriptures, and powerful quotations and stories, John Bytheway describes what it means not to just believe in, but to actually be honest, true, chaste, benevolent, and virtuous. As the Lord helps us become what he wants us to become, we naturally gravitate toward the highest and noblest things in the world, those which are lovely and praiseworthy—in fact, we seek after these things. Perfect for youth and adults! In this Cd Brother Bytheway teaches us what the 13th Article of Faith is all about. He gave me a lot to think about and ponder on. He has a way of teaching us great things and we don't even realize we are being taught. This CD would be treasured by youth and adults alike. It is a wonderful teaching tool. It will be a great addition to Cd library. 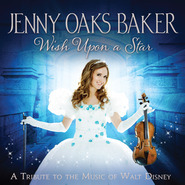 I purchased the MP3 Download of this CD and absolutely love it! I have listened to it close to 2 dozen times. There is always something I hear that I missed before. John gives a short background of the Articles of Faith and then breaks down the 13th. He covers each principle giving reason behind the principle and always a short lesson to follow. This is not only for the youth of the church, but for us adults as well. The way he breaks it down makes you really think about each principle and the reason behind it. I would highly recommend the purchase of this CD, or the download. You'll find yourself listening to it over and over and wanting to share what you've learned.